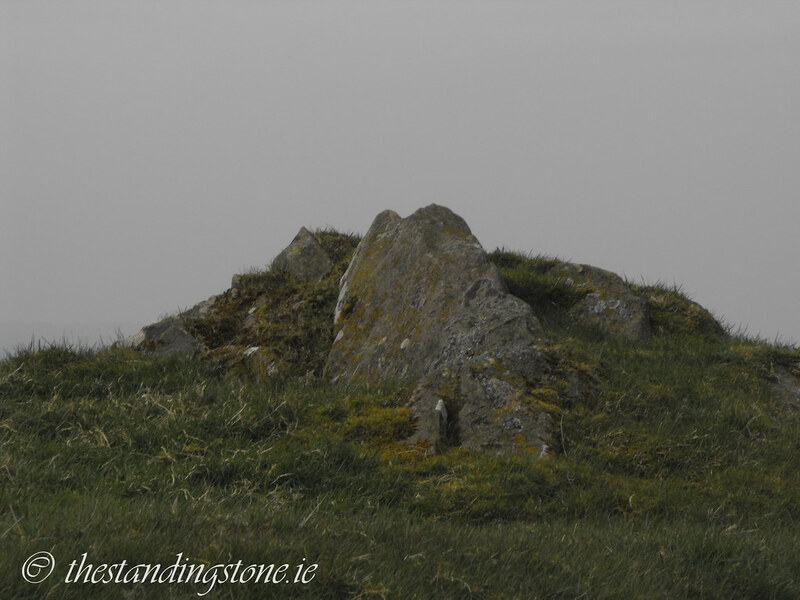 The Standing Stone: Cairn B, Carnbane West, Loughcrew, Co. Meath. 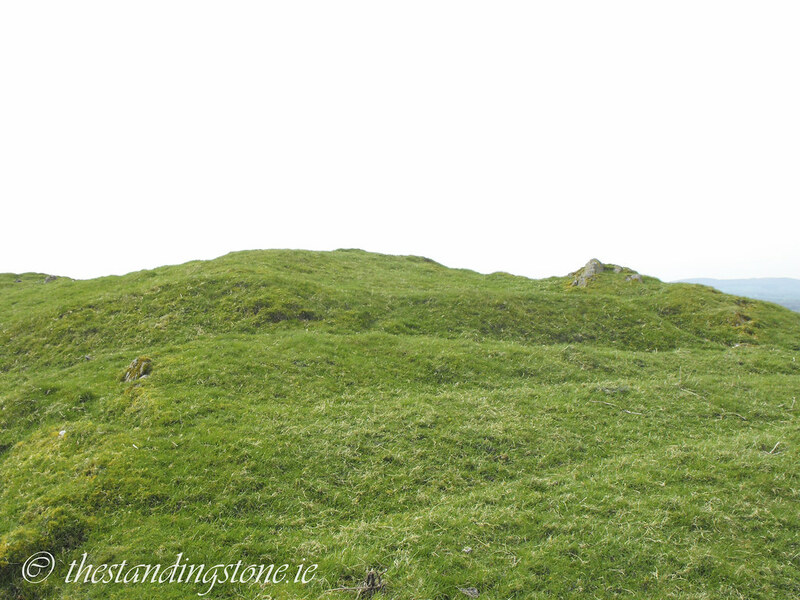 Cairn B, Carnbane West, Loughcrew, Co. Meath. Location – Very close to the massive cairn D.
Description and History – Like cairn A3 I didn’t realise this was a cairn until I was going through the photographs afterwards, so I had only taken shots from a distance. There is very little here to see apart from a few stone protruding from the ground comprising of three stones from the inner chamber. It looks to have been one of the smallest tombs on this hill with a circumference of 22.5m. Difficulty – A little hard to spot as it is so ruined.